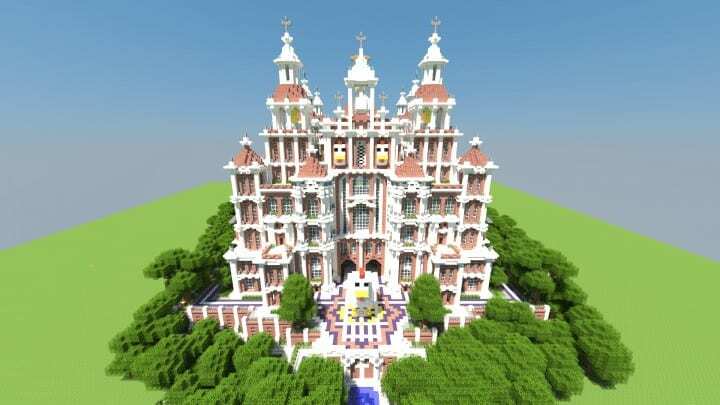 This is a fun little cathedral I started as a joke earlier this year and finally got around to finishing this month. 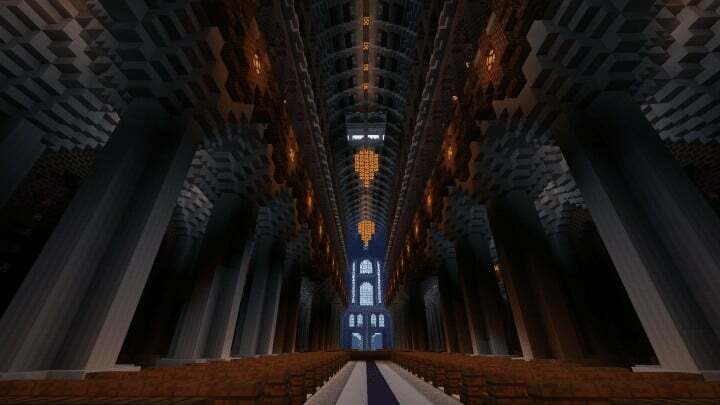 I started off trying to model the cathedral-like the Santiago de Compostela Cathedral in Spain. 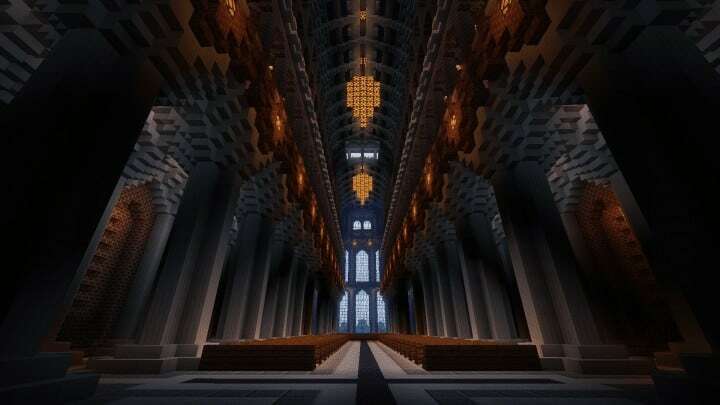 But of course it was a huge undertaking and soon after the cathedral took on its own style. 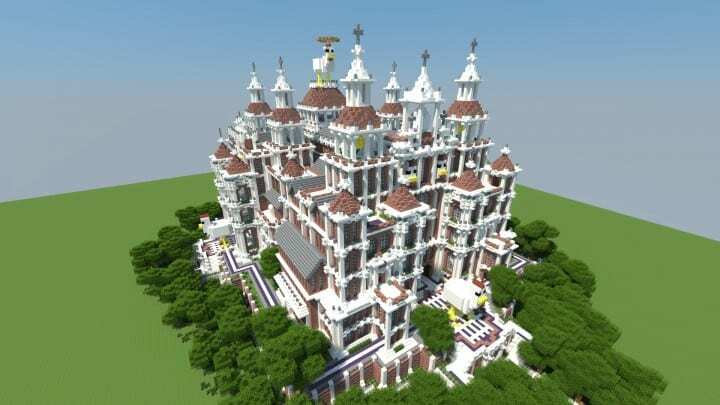 The main materials for the cathedral are brick and quartz. They are the blocks I use the most in my designs. Some people have said that pairing them looks bad, but I think otherwise. 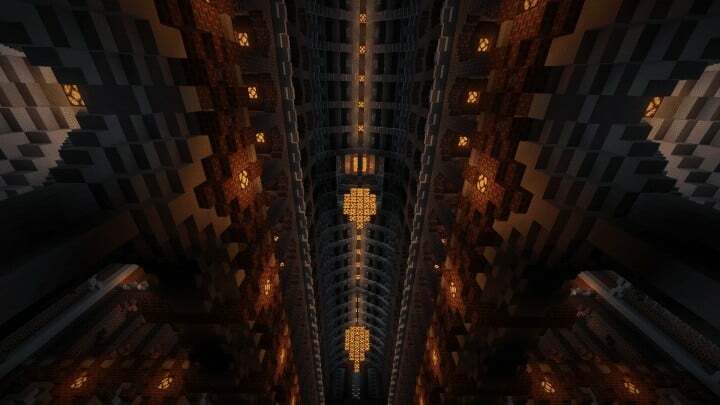 A lot of the exterior also uses stairs as a decorative item. 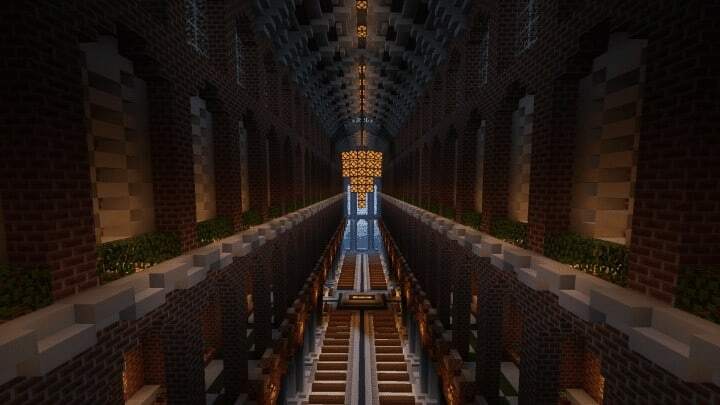 I tried to not over do the stairs to where it looks “busy,” I just wanted to have some decorative touches to add to the facade. 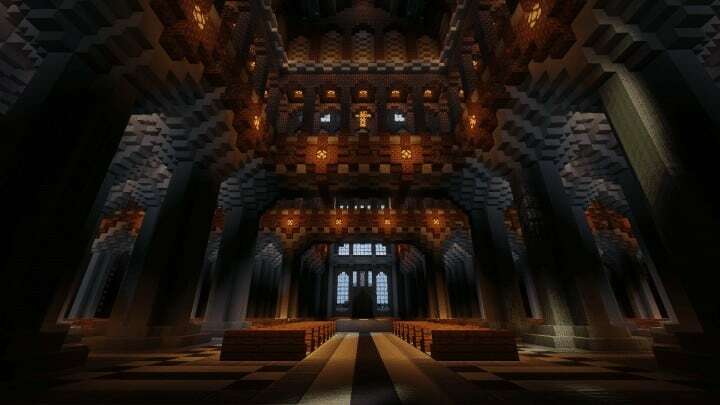 The interior of the cathedral is completely done. All space is used and almost all of the rooms have something in them or serve some purpose. 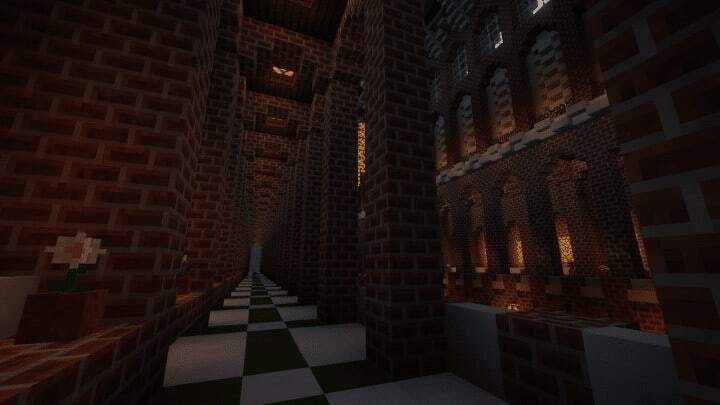 Some rooms, especially the very top floor, are empty, but the walls and ceiling are in place and can be used.